In the last post we saw that the soul enters a new body after the demise of the previous one. This process of rebirth can go on indefinitely until all Karmic debts and obligations are fully discharged. We may wonder what is the purpose of this exercise. The purpose is the evolution of man on the earthly plane. The Karmic law ensures, by designing a new personality and body that lessons which earlier incarnations failed to learn may well be learnt in the new life. Thus eventually, slowly but inevitably, the process of evolution begins to gather momentum after several false starts and hicups and the shroud that was a thick coarse blanket begins to refine. The shining spark of divinity within, the soul, is the supreme standard to which the physical entity has to aspire in the course, if neccesary, of hundreds of thousands of life-times. As it begins to approximate the perfection of the ‘indweller and reflect in some measure the divinity within, the shroud gets refined, until in its very last incarnation the personality/body has shed all ego with its attendant grave failings and stands out as a shining, altruistic star totally reflecting the divinity and perfection of the soul within. Such a state would have been achieved by the personality/body of the Buddha in his last incarnation or innumerable other prophets, sages, seers and saints. At this point of enlightenment, the ‘shroud’ finally slips away and there is total identity between the soul and the person in question. 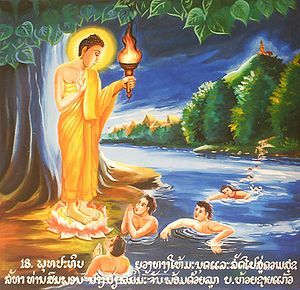 Karmic effects have now dissolved, there is no debt left in the subtle body (‘History’ in the PC now stands deleted) and at this last death, reincarnation ceases with ‘Moksha;, ‘Nirvana’, enlightenment – whatever one calls it and the soul finds ultimate release from the cycle of reincarnation, merging back into the divine source from which it emerged, even as the drop of water that had been thrown up from the ocean by the tidal wave, falls back into the ocean and becomes one with it. It is very easy to understand that you do not have any freewill. Have you ever done anything without any reasons? No, you have never done that. Therefore your past reasons control your present action. Thus present action is not based on freewill. Therefore you cannot do anything to change your destiny. We are like robots. Our souls also do not have freewill. Thus you cannot liberate from reincarnation. Reincarnation is a law of nature. Even Krishna, who is considered as God by many Hindus, said in Gita, that he will take birth millennium after millennium to free the society from evil forces. He also told Arjun in another verse that he was born many times in the past with Arjun. Arjun does not remember but Krishna does.